Statements by Trade Minister Tim Groser today suggest he has given up on securing a good deal for New Zealand dairy exports and may not even attend the next round of Trans-Pacific Partnership Agreement (TPPA) ministerial negotiations, the Green …Will Groser sign the TPPA dud deal? 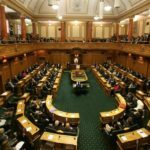 Statements by Trade Minister Tim Groser today suggest he has given up on securing a good deal for New Zealand dairy exports and may not even attend the next round of Trans-Pacific Partnership Agreement (TPPA) ministerial negotiations, the Green Party said. “Tim Groser has said that because what is on the table for dairy is ‘completely inadequate’, he probably won’t even attend the next round of ministerial negotiations. Why on Earth would he sign the deal if it’s inadequate?” Green Party trade spokesperson Dr Russel Norman said. “It looks like Tim Groser has given up on securing a good deal for dairy, so why would he sign it given all the downsides of the TPPA? “Tim Groser has gone from saying that the TPPA will be a ‘gold standard’ deal for New Zealand to saying it ‘won’t be gold plated’ because New Zealand will not get the gains for our dairy exports that the Government has been saying all along make the whole thing worthwhile. 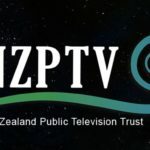 “On the eve of a court case in New Zealand challenging the secrecy of the TPPA negotiations, it looks like the truth is coming out that for all the huge concessions New Zealand has made, the payoff for dairy exports won’t be worth it. 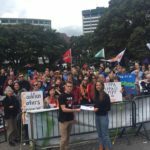 “The TPPA is a bad deal for New Zealand because it restricts the right of democratically elected governments to regulate to protect the environment and human health.